You had to know that Chevrolet wasn’t going to let Ford own the pony car game for long. 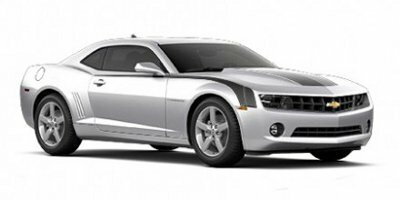 It’s back, and it’s bad – the 2010 Chevrolet Camaro recasts the styling of the popular late 60’s model through the use of futuristic hard edges, bulging flanks and a low roofline. It’s no accident that the Camaro enjoys a starring role in the Transformers movie franchise – it definitely looks like it came from the future on a mission to kick-start your heart with a serious dose of horsepower. Although the 2010 Chevrolet Camaro might be brand new on the performance scene, the aftermarket certainly has not forgotten about the legions of Camaro fans who faithfully stepped up to modify their muscle cars with the latest and greatest in go-fast parts. One of the most commonly installed aftermarket components for the Camaro? A free-flowing exhaust system. A 3.6L V6 in the base model that offers an exceptional 312 horsepower. A 6.2L V8 in the SS trim that represents the natural evolution of the vaunted small block Chevy (SBC) design. Six-speed automatic cars are paired with the L99 generating 400 horses, while six-speed manual editions are gifted with a 426 horsepower LS3. The Camaro might be all-new, but with an SBC under the hood aftermarket exhaust manufacturers had a leg up on building great-sounding mufflers, headers and piping that they knew would extract the most power possible from the muscle car. Even the V6 engine has received a healthy amount of attention in terms of exhaust system availability thanks to its V8-like power production. 1. Is loudness your ultimate goal? It’s very easy to build a Camaro that will shatter glass with its tailpipes, but that might not be a car that you would actually want to drive on the street. Don’t judge a system by decibels alone. 2. Catback or just mufflers? You will most likely see the best performance gains from a full catback exhaust system. However, if it’s an amazing V8 or more aggressive V6 sound you are after, then just replacing your mufflers will save you money and still make love to your eardrum as you cruise down the road. 3. Do you really need headers? Headers can certainly open up your Camaro’s potential – particularly on the V8 – but if you aren’t planning on making any other engine modifications then you might not want to spring for the extra expense and hassle of installing this particular exhaust component.